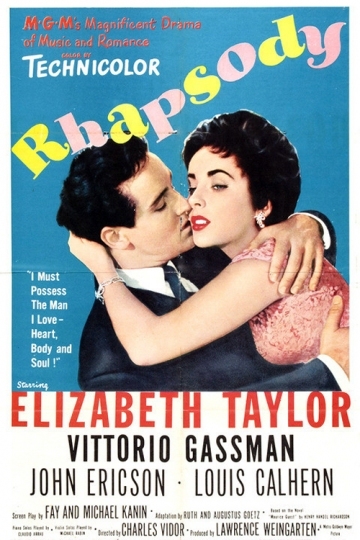 Elizabeth Taylor strives for sweet harmony as a privileged young woman who must choose between the two musicians she loves. She first falls for a devoted violinist (Vittorio Gassman) and follows him when he goes off to musical studies abroad. There, she also meets a talented pianist (John Ericson) who tries to play the initially uninterested lady into his heart. As events and emotions unfold, the inevitable conflict arises: which man does she truly love? Rhapsody is currently available to watch and stream, buy on demand at Amazon, Vudu, Google Play, iTunes, YouTube VOD online.